We prepare our students for the six levels of the Diplomas in Spanish as a Foreign Language (DELE): A1: Beginner / A2: Elementary – Lower Intermediate / B1: Intermediate – Upper Intermediate / B2: Advanced – Upper Advanced / C1: Superior / C2: Proficiency. SpanishviaSkype has a study programme that includes reading, writing, grammar, vocabulary and speaking; all of which are sections in the exam to obtain the DELE certificate. Moreover the student can work with practice exams, just like the official ones. The DELE exams are official qualifications which have permanent validity. They certify the degree of competence and command of the Spanish language and are awarded by the Instituto Cervantes on behalf of the Spanish Ministry of Education. They are based on the CEFR guidelines of the Council of Europe. They are internationally recognised and are very prestigious, not only among public and private educational institutions and authorities, but also in the business world and chambers of commerce. They are ideal for furthering your career and access to education, both in Spain and in other countries where the examinations are held. 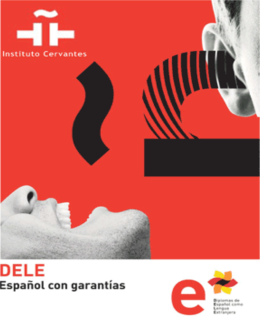 The DELE exams are held in Instituto Cervantes centres and the many exam centres accredited for the DELE exam, these include universities, language centres, academies, consulates and embassies. You can download the examination dates here and the registration information for the 2019 DELE. Enjoy a new way to prepare the DELE!